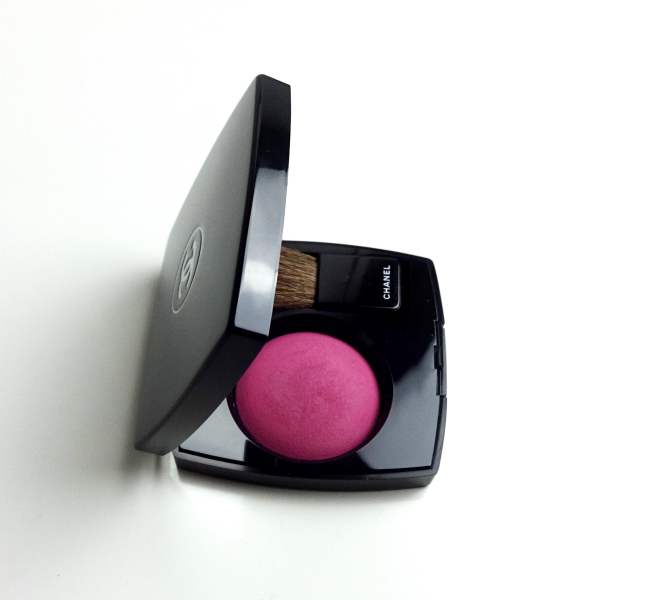 The name "vivacity" suits this blush very nicely. Vivacité is a medium-toned fuchsia with a good deal of berry hues. It is definitely one of the brightest blushes I own, but not terribly so that I feel that I need to reserve it for a special occasion. In fact, I've been wearing Vivacité quite often throughout the summer. I got Vivacité sight unseen from a good friend's blog sale. It came in mint condition. Score. 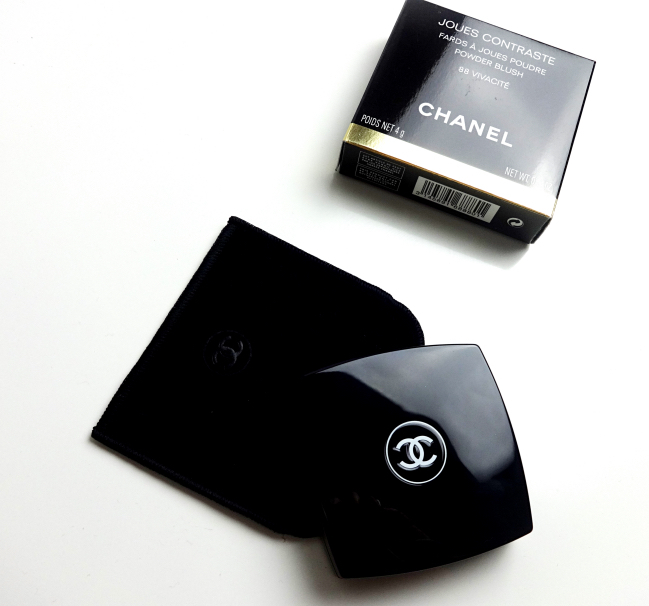 It instantly reminded me of the two blushes I already own - NARS Mata Hari(reviewed) and BLKR 413(reviewed). 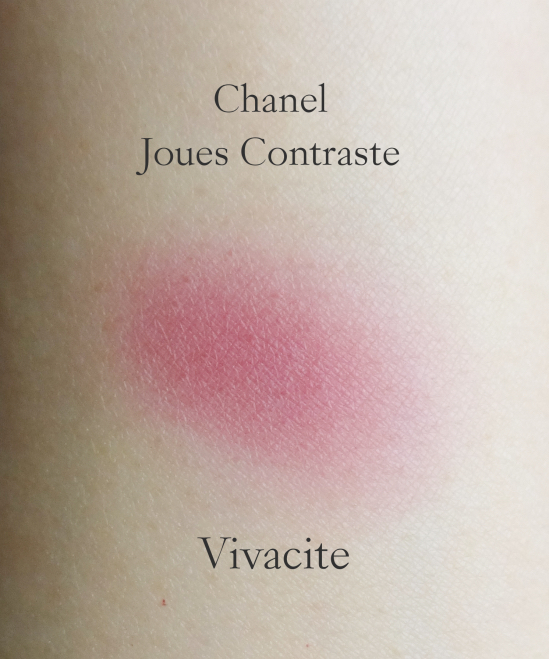 Vivacité actually falls in between these two shades. To those muggles' eyes, they might even look the same especially once blended on face, but Mata Hari has distinct purple undertones and BLKR 413 leans more red as you see below. They are quite different, obviously. 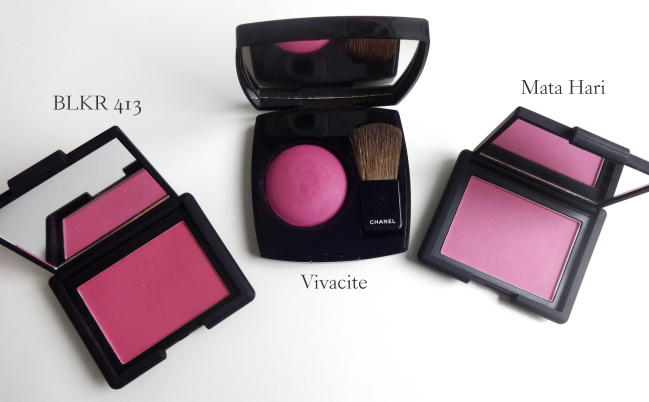 Vivacité feels drier and plays out sheerer compared to other Joues Contraste powder blushes I've tried. It isn't a bad thing since the color itself is quite intense. It blends in with my skin tone easily leaving a natural flush. I can actually use the small brush enclosed without having to worry about clown cheeks. Sorry about another long hiatus. This time, I have no excuse but that I didn't really feel like blogging. I even tried to buy a few from the new collections just that I would have something to write about. Maybe I was trying to excite myself about new sparkly things once again, but it didn't work out that way. Only when I realized that I just wanted to talk about and show things I actually enjoy (whether it's new or not), I felt like sitting in front of my old Mac to write something. 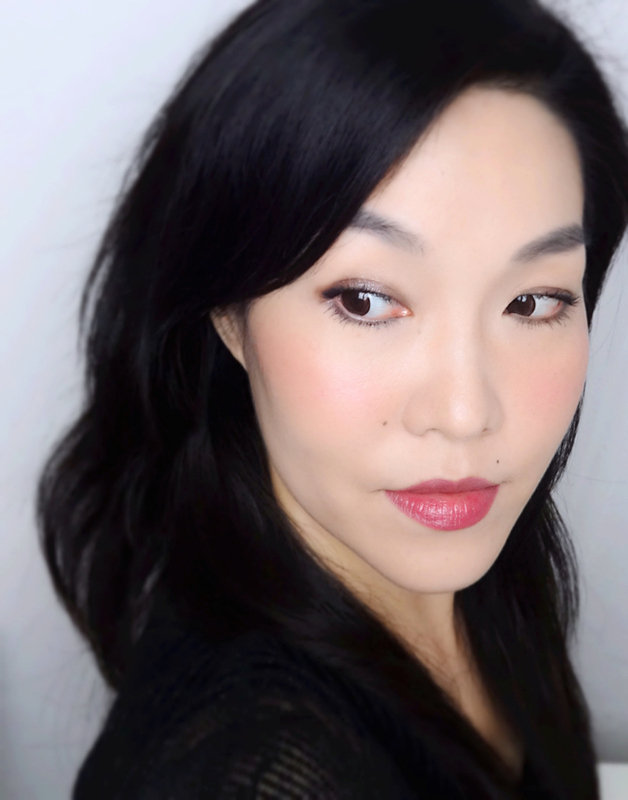 And for that, this discontinued LE blush from 2014 seemed quite perfect. 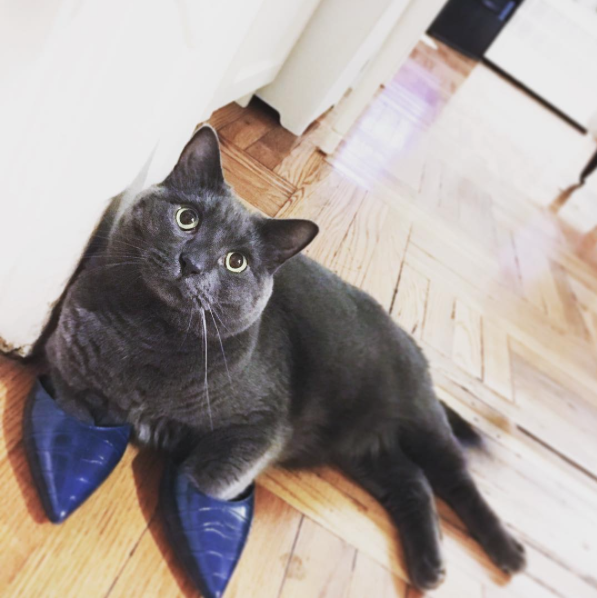 Dooney wishes you a great week. Lena!!! Ah I've missed your posts but I've totally been admiring your handsome boy whenever you post pics of him on Instagram. I love how his personality comes through :) I figured you must've been on a summer hiatus but I'm glad to see you back. I actually don't mind you talking about older products if they're what you enjoy and genuinely like. 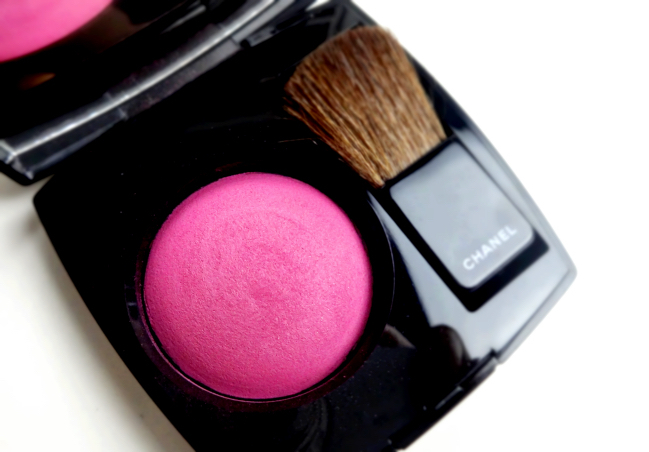 This blush looks lovely on you! Vivid blush colors are something that I've learned to embrace more this year. I like the way they show up on my skin. I just have to actively remember that less is more ;) Happy new week! Hi Rowena! I always appreciate your thoughtful comments! I miss reading and commenting on my favorite blogs such as yours. <3 Hopefully, I will post more frequently from now on. Good thing is that I actually wanna blog now! Dooney is doing very well. He's gotten bigger (reads "fat") lately. LOL. I guess I need to get him to exercise more but I also think it's due to his super-relaxed personality. He loves just lie down on his back and daydream! I missed seeing your pretty face!!!! I don't blog regularly either. I took a 4 week break and before that I blogged once a week. I don't have the time to blog as often anymore. I want to go outside and do stuff! Welcome back! I recognize this blush, I think. ;) I don't read a lot of beauty reviews these days but it's always nice to see friends post again. You look great with Vivacite of course, but it really complements the blog design right now!